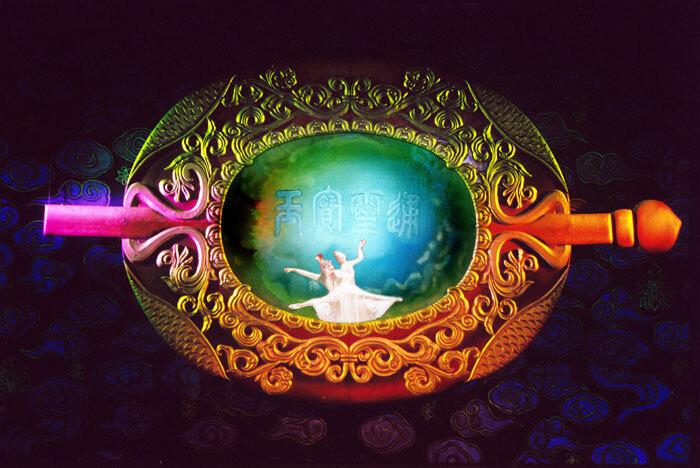 "Amidst awe-inspiring sets, graceful dancers in breathtakingly beautiful costumes"
"A stunning beginning to a New Year and a deeply appreciated gift"
- Electronic Link Journey "舞員精湛舞技, 燈光變化萬千, 布景巧奪天功, 將這部中國古典文學淒迷地在舞台上呈現, 場面宏大優美, 令人讚歎不已. " 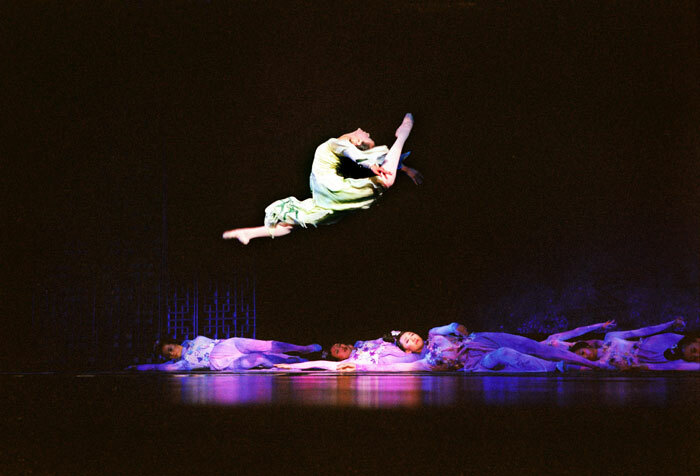 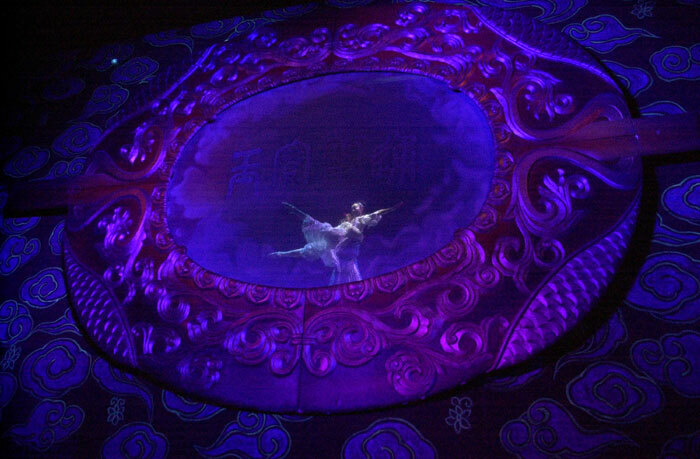 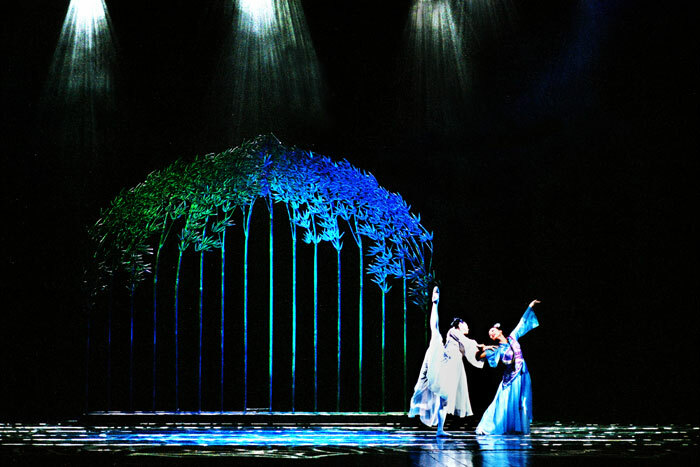 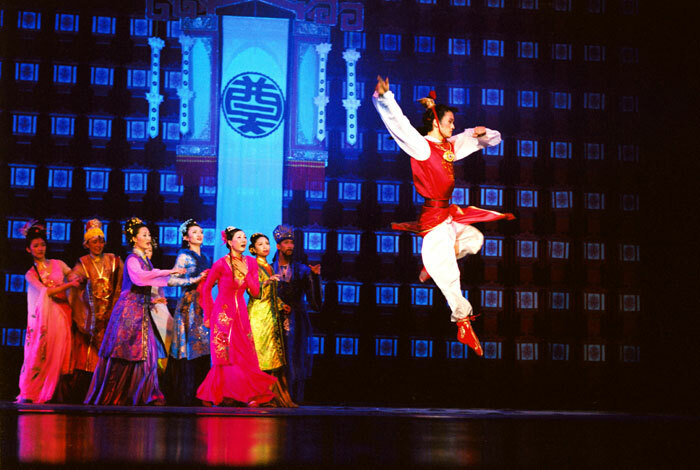 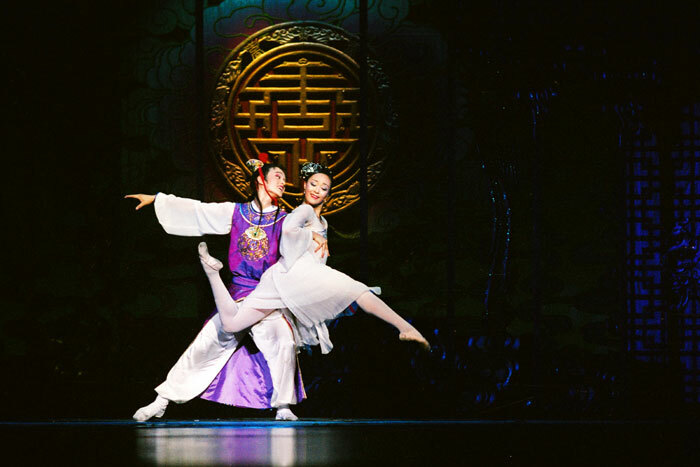 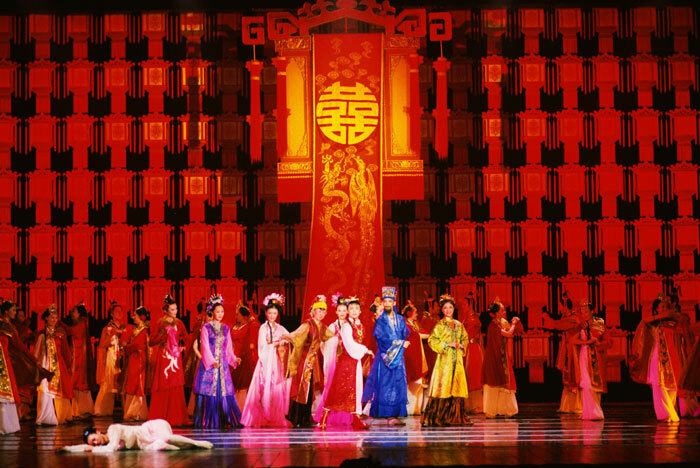 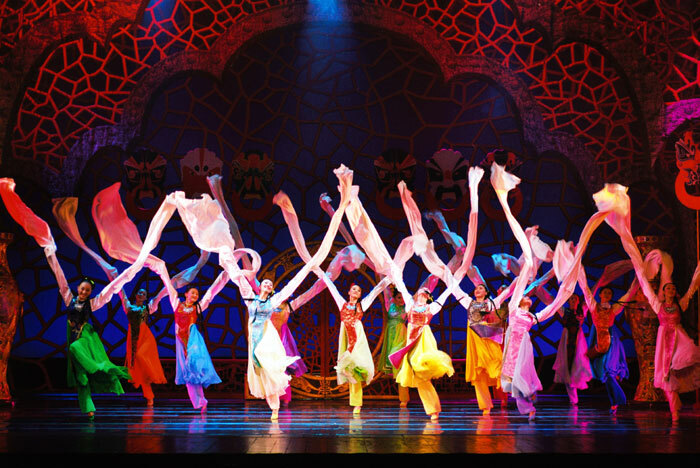 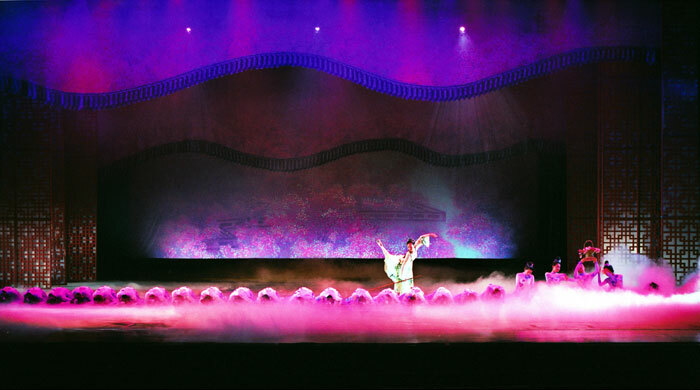 "The dancers' excellent dancing technique, the dazzling lighting, and the smart stage set design, all together, adapted this classic Chinese literature to a dance production on the stage in a tragically beautiful way. 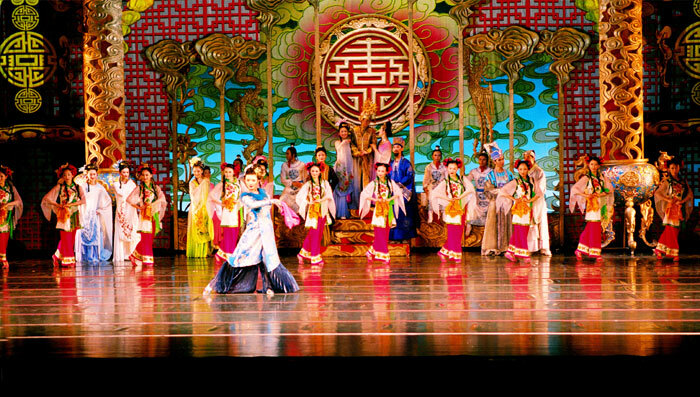 The marvelous production blew the audience away." 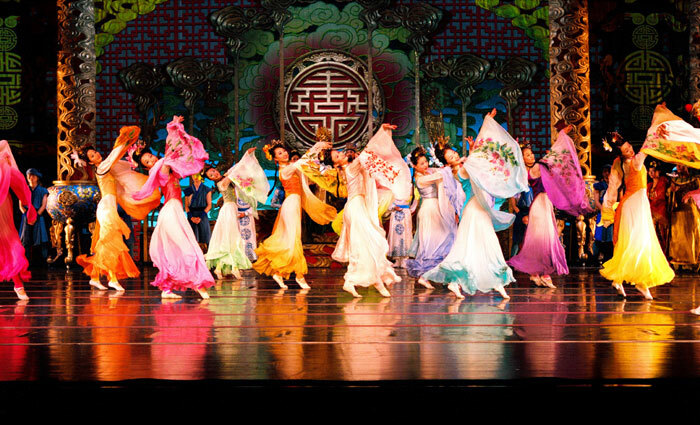 ¨C Sing Tao Daily "以娴熟的技巧舞出了各自的人生处境, 命运和情感, 场面恢宏而又不失诗意"
"Dancers illustrated every character's unique personality, destiny and emotions through their outstanding dancing technique, on the marvelous but poetic stage." 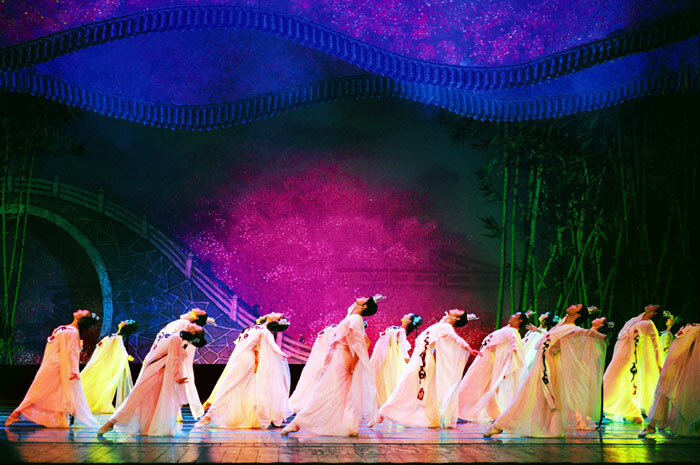 "Song Li's costume design was colorful and fabulous, especially the design for Madam Jia's crown, which looked as impressive as Gong Li's crown in the movie, Curse Of The Golden Flower." 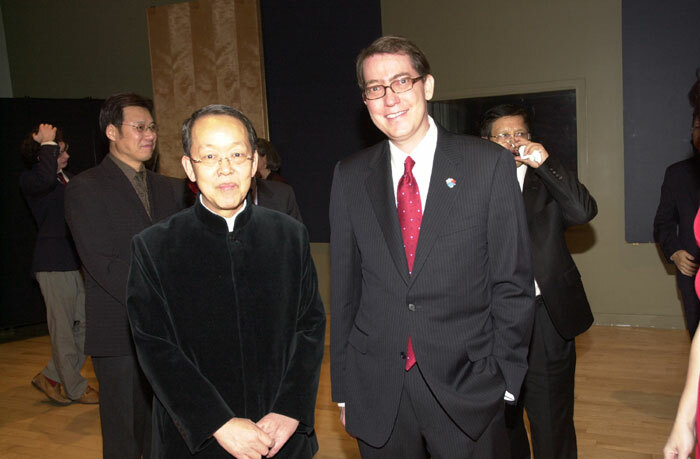 ¨C World Journal "演出结束时, 全场观众更是长时间鼓掌达10多分钟, 许多观众眼里还含着泪光, 久久不愿离去. " 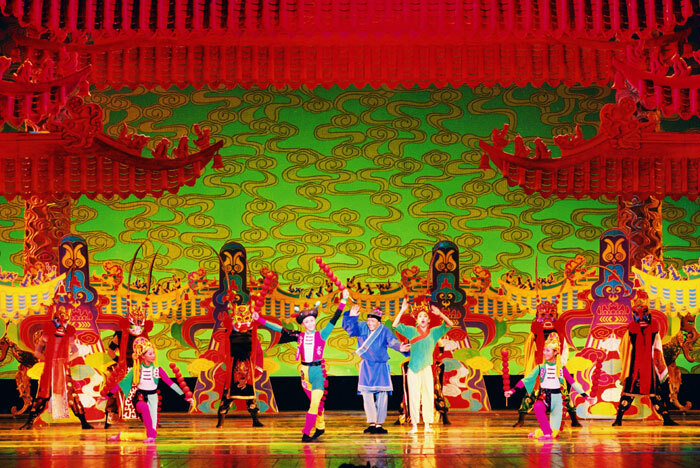 "After the performance was over, the applause continued for more than 10 minutes. 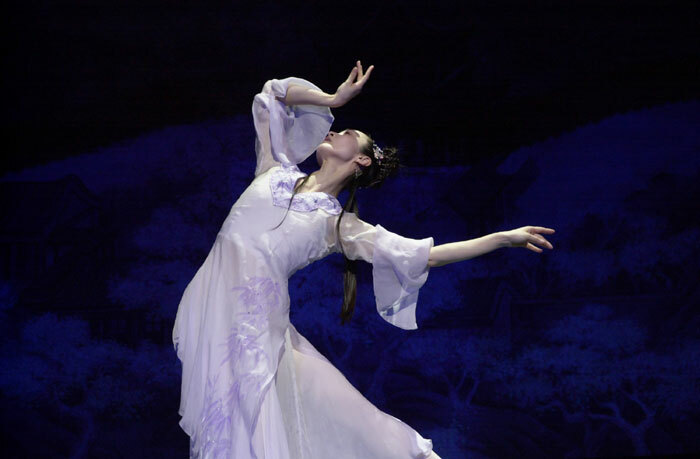 Many audience members, with tears in their eyes, were so deeply touched that they couldn't manage to walk away from the theatre." 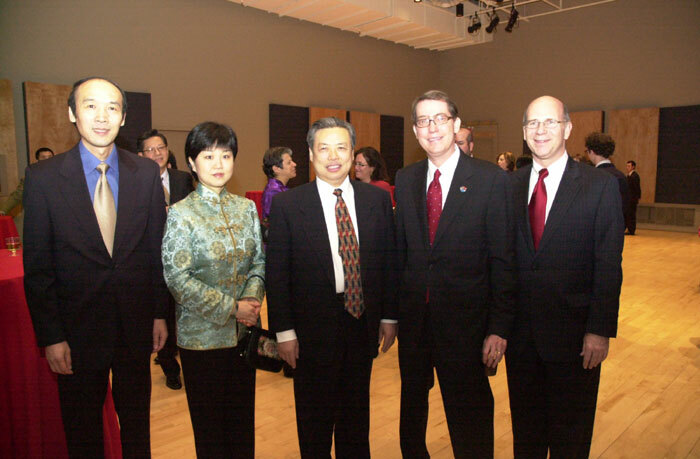 ¨C Jie Fang Daily "(联合国常务副秘书长)米吉罗在演出结束后接受新华社记者专访时表示: '演出实在太精彩了, 艺术价值非常高, 它让我进一步了解了中华文化的内涵. '" 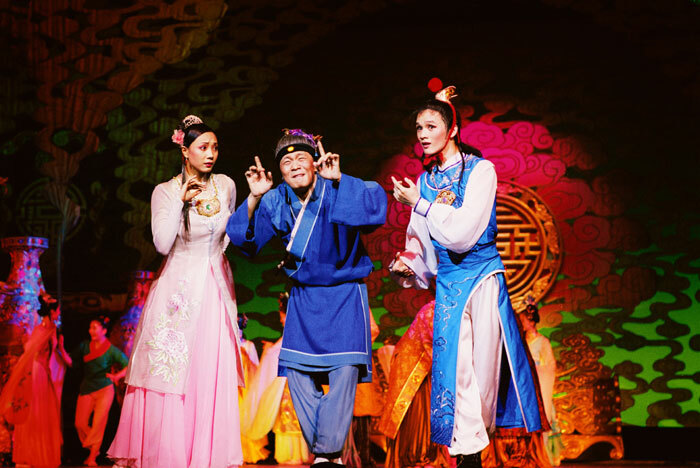 "(UN Deputy Secretary-General) Migiro told the Journalist from Xinhua News after the performance, 'The performance was fabulous, with very high artistic values. 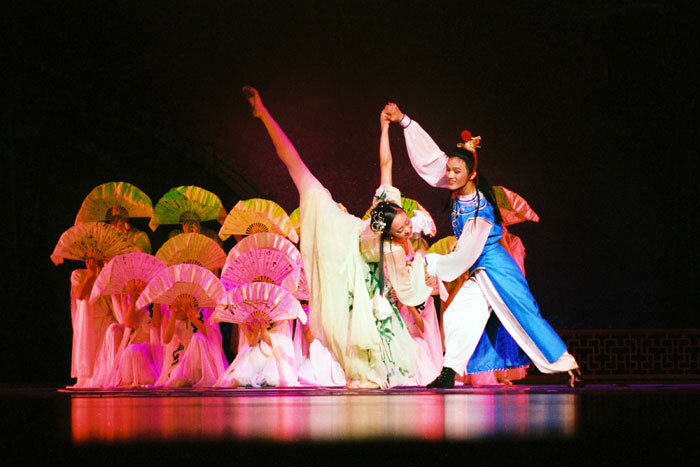 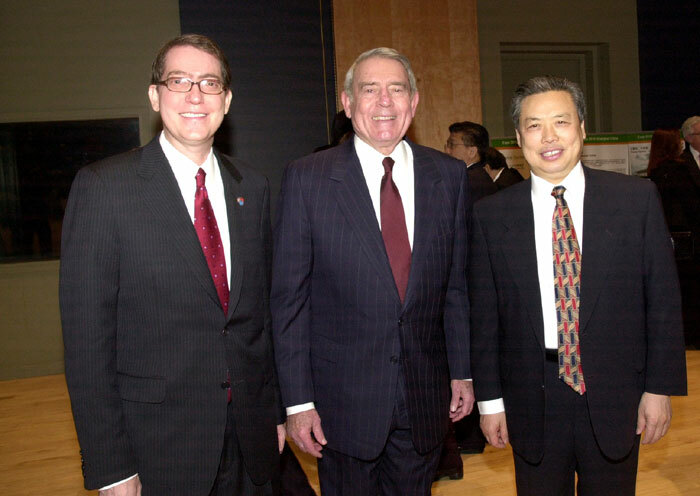 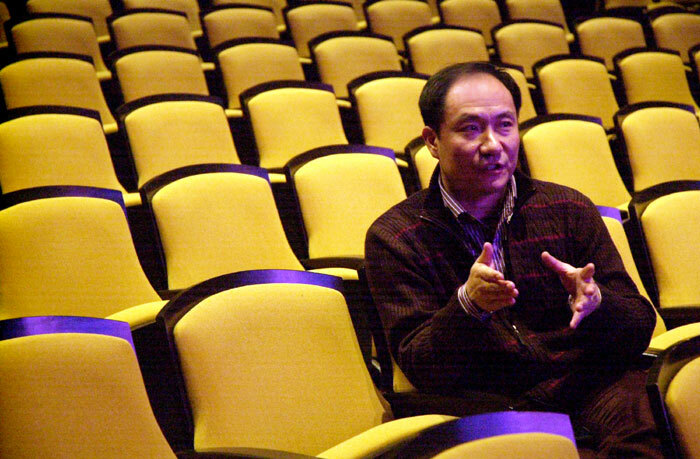 It allowed me to get to know more about the essence of Chinese Culture.'"